Lisa Quinn repurposes old frames and creates a stylish place to help you stay organized. 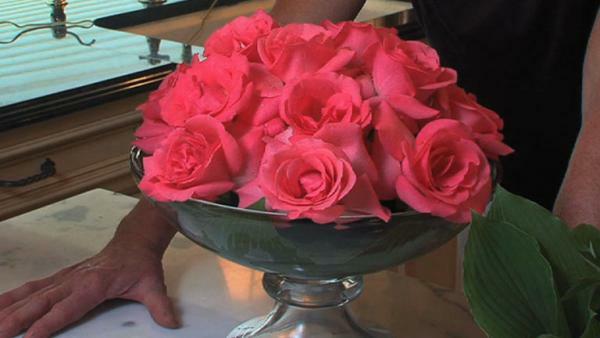 Plus, Mark Milkint reveals his secret to creating an elegant arrangement for under 20.00. And, easy entertaining ideas. Tricks that will help you impress your guests without a lot of work. Get rid of your cluttered ugly bulletin board and create a stylish one. Mark Milkint creates an elegant flower arrangement. It won't cost you a fortune, and it will really impress your guests. Mark Milkint shows the simple steps to making a succulent container garden. Lela Davidson reveals her tips for entertaining southern style. She shares easy ways to throw a party without a lot of fuss.